Not only it’s important to start a Day in a good and happy way, as I have talked about it in my recent post How to start a day in a good and happy way, but it’s also important to finish our day in a good way, we need to prepare ourselves for a good night sleep so we are ready for another happy day. Happiness comes from within, so we need to work on our happiness every day! What can we do to end our Day in a Good Way and have a Good Night Sleep? 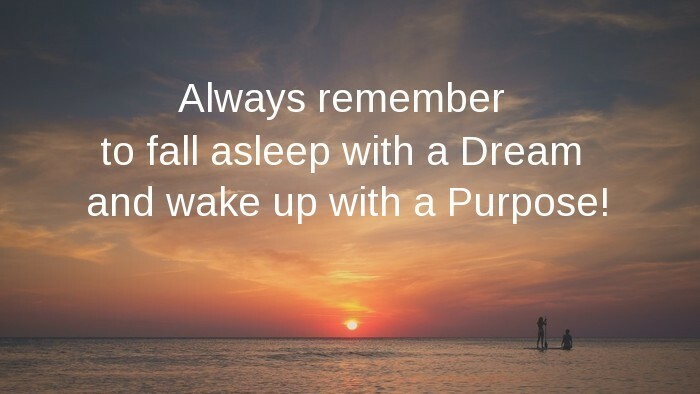 Always Remember to Fall Sleep with a Dream and Wake up with a Purpose! As I have mentioned in this post our thoughts are very important, so thinking of something positive, something nice that makes us feel good can help us to sleep well. If our mind is still active and goes from one thought to another, we should avoid thinking about negative things that can create some bad feelings. Some times it’s easier said than done, especially if we have had a Bad Day. In that case, we need to remind ourselves that tomorrow is going to be better and we are going to have another opportunity to get it right. There is no point to keep thinking and dwelling in negative situations, nothing is going to change. We need to take a break from it, put whatever went bad in a box, close the lid and opening again when we have to deal with it again. Concentrating on living the present can help us to detach ourselves from any situation happened during the day. Now we need some positive thoughts so we can have a good night sleep. You might also like to read: How to replace our negative thoughts with positive thoughts. If for the day ahead we have some challenging situations to deal with, let’s try to think of something else and if we find it difficult then we can try to imagine how we will feel when we have solved our problems. 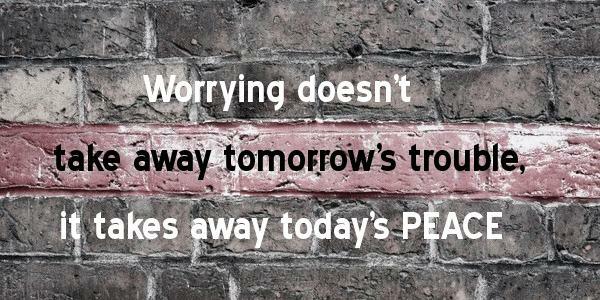 We need to remember that it is useless to worry, apprehension does not change the situation or the outcome of what may occur tomorrow, instead it make us weaker, so we need to think of something else, of course, something that makes us feel good so tomorrow we feel good and strong to deal with any situations. So what can we think then? – We can have some Grateful Thoughts and be Thankful. As I always keep saying, Gratitude is the key to Happiness. we need to be grateful, no matter how bad our day was, we have had the good fortune to live another day. We should never forget that someone, somewhere else, is desperately fighting for theirs. – We can project the next day in our mind, imaging like we would like it to be. When we are lying in bed, in order to relax our body and our mind, we can also do simple breathing exercises such as the one I talked about in one of my other posts The Importance of proper Breathing . As an addition, to relax our muscles, we can do a simple exercise: starting from the feet to get up to the head, we can concentrate on every single part of our body for a few minutes, so the feet, legs, torso, arms, neck and finishing with our head. In doing so, we help our muscles to relax and we feel our body relaxed as if it is melting into our bed. If our mind is still agitated because we have one of those days and some thoughts don’t stop buzzing in our mind, then it would be beneficial to dedicate some time to meditation. You might also like reading Meditation allows me to savour the moment. Sharing Vicky’s experience. If you like music there will certainly be one or two songs that create a feeling of happiness that makes you feel good and relaxed when you listen to them so then do yourself a favour listen to these songs in the evening before you go to bed. #5 Laugh: watch a comedy, read something funny or just listen to some jokes. Laughter is the best medicine and is a powerful antidote to stress, pain, and conflict. Nothing works faster or more dependably to bring your mind and body back into balance than a good laugh. #6 Congratulate and/or forgive Yourself. Spend some time each night before you sleep to reflect on everything you did during the day. Congratulate yourself on your accomplishments but also forgive yourself for your mistakes. Think of what you learned during the day and let go of the bad feelings you hold inside. #8 Have a cup of Green Tea. It helps you relax and also it improves your Metabolism and helps lose weight during your sleep. It will give that feeling of a fresh start when you wake up. Making Love has a lot of health benefits and also can help to sleep better. All we need to do is to create a good habit to end our day in the best way we can.